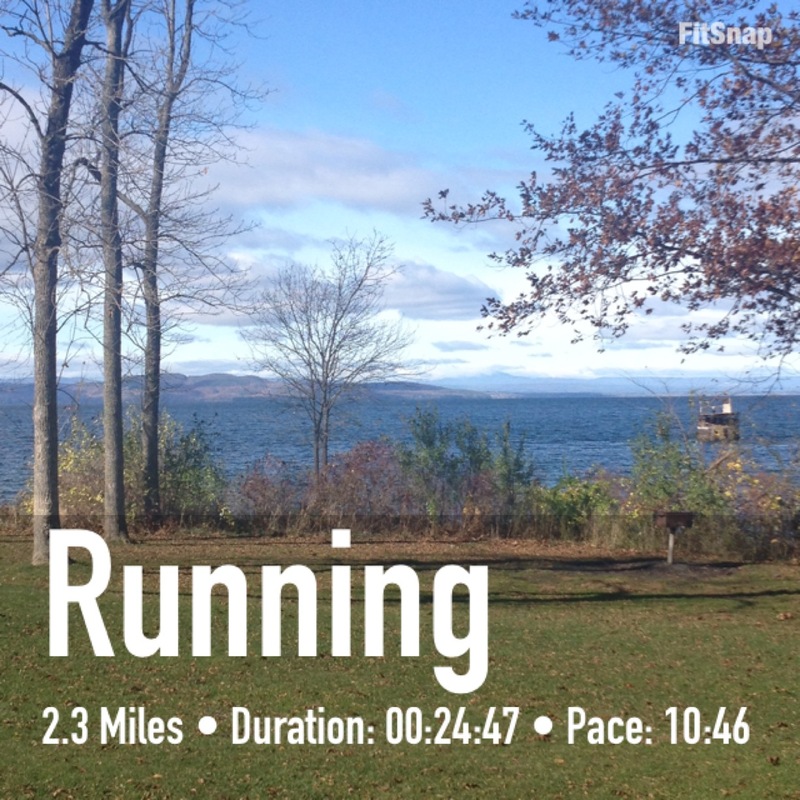 I managed to squeeze in 2.3 pain-free, sunny miles. I didn’t go fast, and I didn’t go far, but I was really happy to get a run in. I’d forgotten how great it can be to sneak out on lunch and run a bit. As long as the weather is nice, I will be doing this at least once a week! It was rainy and gross on my lunch break, so I decided to be productive instead. I made a bunch of wedding-related phone calls and appointments, and then watched some Supernatural on Netflix. And of course, as I was headed back to my desk, it stopped raining and the sun came out. Whomp whomp. The weather wasn’t ideal–it was a bit damp and cloudy, but I made it happen anyway. I did just over 2 miles in just over 20 minutes, which is pretty much exactly what I was going for. And after my margarita and shrimp taco dinner, I spent some time stretching and foam rolling at home. Lots of Halloween festivities were had. I didn’t get to bed quite as early as I would have liked, but I only had 2 drinks, and slept in enough on Saturday that I think I made up for it. Ben and I helped out around the house a bunch, clearing up the yard and barn in preparation for the wedding. We picked up junk, moved tires, and stacked wood. It felt good to be outside moving, but I wasn’t using my legs too much, so I wasn’t worried about tiring myself out. We went out to dinner with some friends, and I had one beer and a grilled chicken sandwich with fries, and then was in bed by 9 pm. It was cold. It was windy. It was hilly. But I triumphed. More to come in the full recap on Wednesday! The plan for this week is to focus on recovery. I probably won’t run or work out until Wednesday, and in the meantime I’ll be stretching and foam rolling like it’s my job, because my hips are NOT happy today. I may hit up a Zumba-like class on Thursday just to shake everything out, but I’m not going to really plan anything specific and just take it a day at a time. 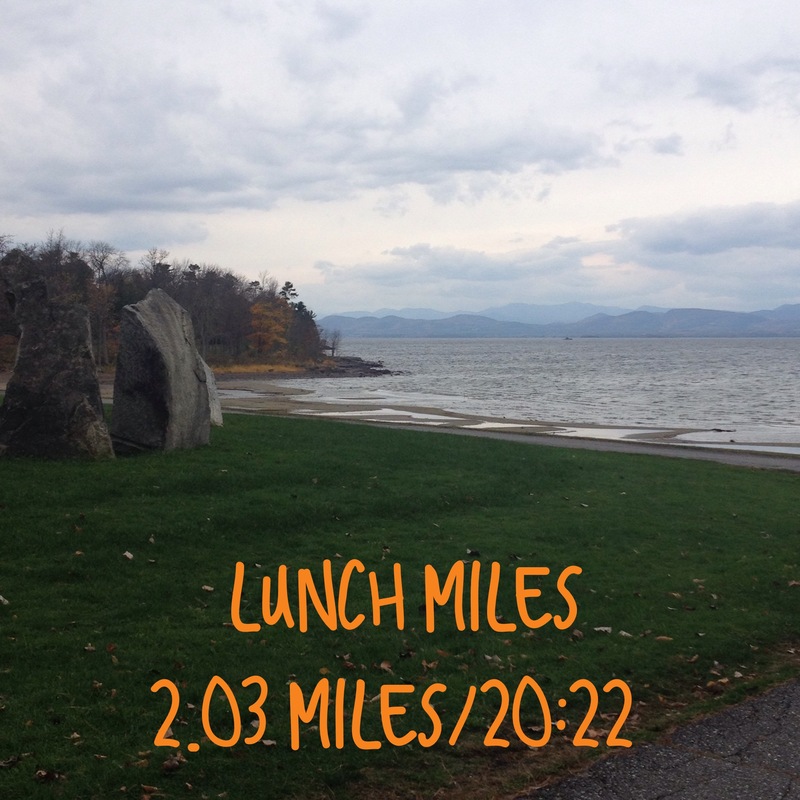 I’m signed up for a couple of 5k’s between now and Christmas, and then my racing season is over until the spring, so Manic Monday posts might become more like a weekend update sort of post for a while. We’ll see how it goes! Congratulations to all my friends who raced this weekend–Danielle, Nicole, Lisa, and anyone else I may have forgotten. You are all rock stars! What is your favorite race recovery tip/trick/exercise? Yeah, after my last half I didn’t do anything for about 2 weeks, and I felt like a slob by the end. I think the recumbent bike will be my friend this week! Congrats on your PR!! Can’t wait to hear about it. Congrats on the PR, can’t wait to hear about it! Enjoy your recovery! Beautiful photos! I ran at lunch for the first time yesterday. It was awesome.